Getting your pup comfortable with a crate, kennel or carrier is extremely important. Find out why crate training is important and how it will benefit you AND your dog! This post is sponsored by PetSmart®, and the BlogPaws Professional Pet Blogger Network. I am being compensated for helping spread the word about Containment Products and Education for your pet, but Dog Mom Days only shares information we feel is relevant to our readers. PetSmart® is not responsible for the content of this article. Wynston at his first agility trial! Kennel training is one of the most important places to start when you first adopt a dog or cat. Perhaps you just rescued a puppy, or maybe an adult dog that already has training. Either way, you need to get your pet acquainted with a crate immediately. With PetSmart‘s huge sale on crates and kennels during the month of March, now’s the perfect time to begin (or brush up on!) crate training! The kennel should be a happy, safe place for your dog or cat. It almost acts as their bedroom. When I first rescued Wynston, I was working a 9-5 job. He was just a puppy and still getting acclimated to life outside the puppy mill, so I would put him in the kennel with pee pads, a toy and a bone when I went to work. Lots of positive reinforcement came with crate training – go in your crate, you get a treat! Wynston realized that the kennel is a great place to be. Even though I’ve been working at home now for almost 2 years, Wyn still goes in his kennel to sleep. The kennel offers him comfort, safety and security. As you can see, there are many styles and sizes of crates to fit your needs at PetSmart. Benefits of crate training: (Here is a useful article if you’re just starting out with crate training). Potty training: As long as you get the appropriate size kennel for your dog, they will not want to go to the bathroom in it. Sure, you can put some potty pads in there just in case an accident occurs (especially for puppies), but in a perfect world, your pet will learn to wait until they are released from the crate to go potty. No animal wants to sleep or sit in their waste. Make sure you aren’t leaving them in the crate longer than they can hold their bladder. Traveling: Perhaps you’re going on a road trip. Maybe you need to crate your dog for a visit to the vet. The kennel is a great avenue for pet safety in the car. Maybe you are boarding your dog and they use large kennels overnight. Either way, chances are you might need to crate your dog when you are traveling, whether bringing your dog or not. Avoid panic, anxiety and a scared dog by already having them kennel trained. It’s a safe place: Is your dog afraid of fireworks, thunderstorms or your crazy aunt that comes to visit? The kennel will give your dog a safe, happy escape from scary situations! Dog sports: Both Wynston and Khloee perform in agility. It’s imperative to have dogs crate trained if you plan on competing in a dog sport. During trials, Wynston has to hang out in his kennel while he waits for his turn on the course or until I take him out for a walk and potty break. Separation anxiety: If you crate train your dog immediately, there is a smaller chance they will develop separation anxiety. “Oh, your going to work? Okay, I will go into my kennel because it has toys and treats!” An added bonus – your dog won’t chew up things around the house when you’re away! Notice Wynston’s pillow and blankets! I also got him a custom kennel sign for agility trials! Create comfort: I’ve had the same bed and pillow in Wynston’s kennel for years. He loves to curl up on the pillow or cuddle under blankets on the soft bed that lines the bottom. Make it a truly cozy sanctuary! Add toys: Put your dog (or cat’s) favorite toys in the kennel. This will add comfort and happiness to the crating experience. Add your scent: If you are trying to cure your dog’s separation anxiety, put a t-shirt that you’ve recently worn into the crate. Your dog will smell your scent and feel much better! Gives bones, treats or rawhides: Is your dog a chewer? Maybe they get bored easily, or perhaps you are just training the kennel so you need to give some positive reinforcement. Whatever the case may be, give your dog something delicious as a reward for being good and quiet in the crate. This will also keep them busy while you are away. The current brands of crates, carriers and kennels on sale at PetSmart at Petmate, Kong, Martha Stewart Pets, Grreat Choice and Top Paw. For the month of March, PetSmart has a wide selection of crates and kennels for dogs and cats on sale! Check out all of your options here! 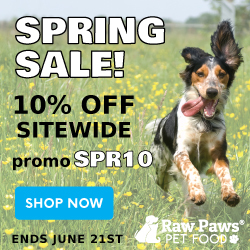 Brands that are currently on sale include Petmate, Martha Stewart Pets, Kong, Grreat Choice and Top Paw. For traveling, I prefer the Martha Stewart Pets carriers because they are light weight, stylish and perfect for my small dogs. At home and for agility trials I have a Grreat Choice crate and Petmate kennel. Is your dog crate trained? What type of crate do you prefer for your dog or cat? I love how your PetSmart is able to show so many of their styles set-up. Great review! I love my local PetSmart! There are two great stores within a 4 mile radius of me. Super spoiled!